Sweet, cute dogs looking for a home! 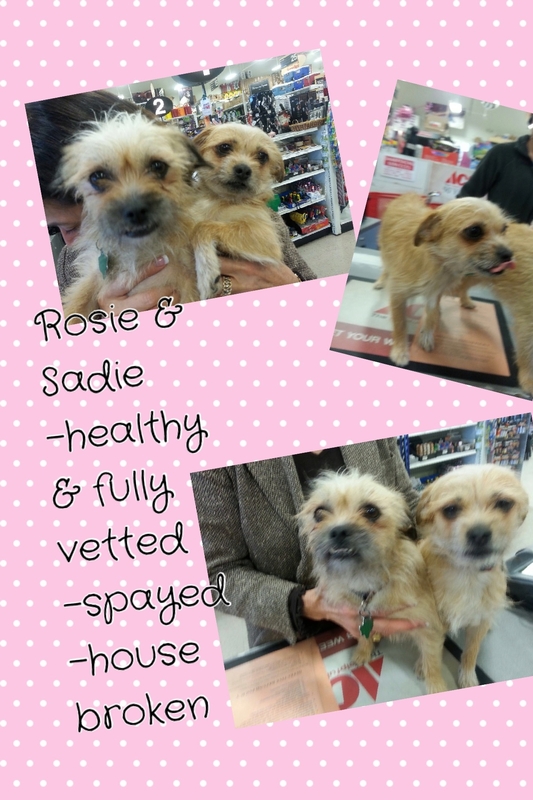 If you love little energetic terrier mixes, Rosie and Sadie are perfect for you. Both are fully vetted and microchipped. And the best part..they are HOUSEBROKEN:))). If you would like to share your home with these little girls who are desperately looking for love, please email nbhaize@sbcglobal.net of West Houston Rescue. You can also view these little cuties at the ACE Hardware store on Memorial at Tully.